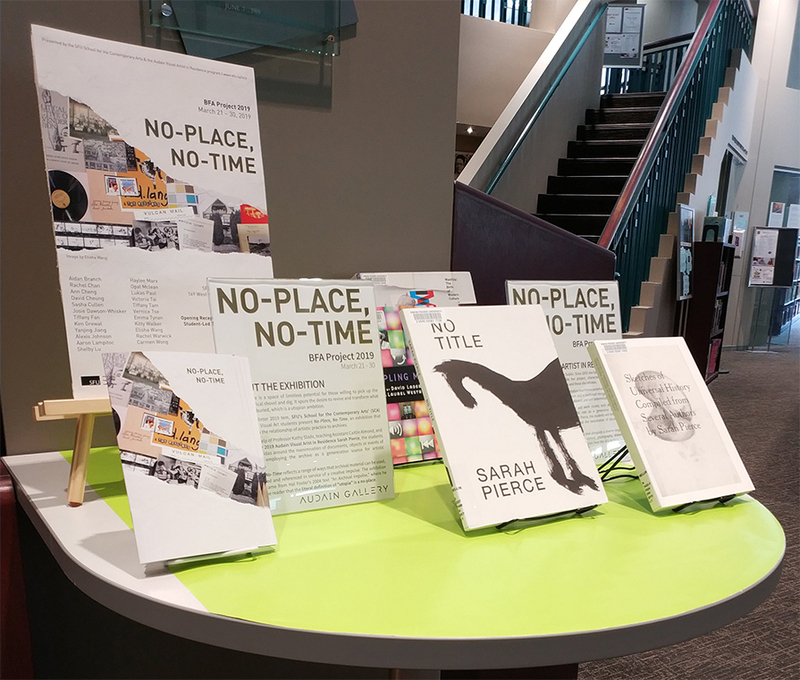 In conjunction with the SFU Gallery's exhibition No-Place, No-Time at the Audain Gallery [March 21 - March 30], Belzberg Library is featuring a display of books on the work of the Audain Visual Artist in Residence, Sarah Pierce, along with titles discussing the role of archives as a generative source for artistic expression. Explore themes that inform the artwork of the third-year SFU BFA students that is featured in this exhibition. For more information about some of the items in the display, please refer to the list below.